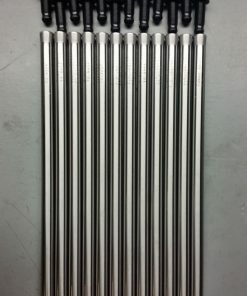 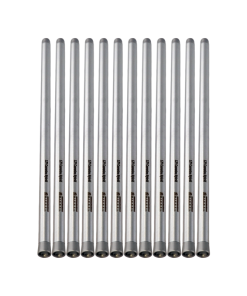 Our Power Driven stage 2 push rods offer an incredible value. 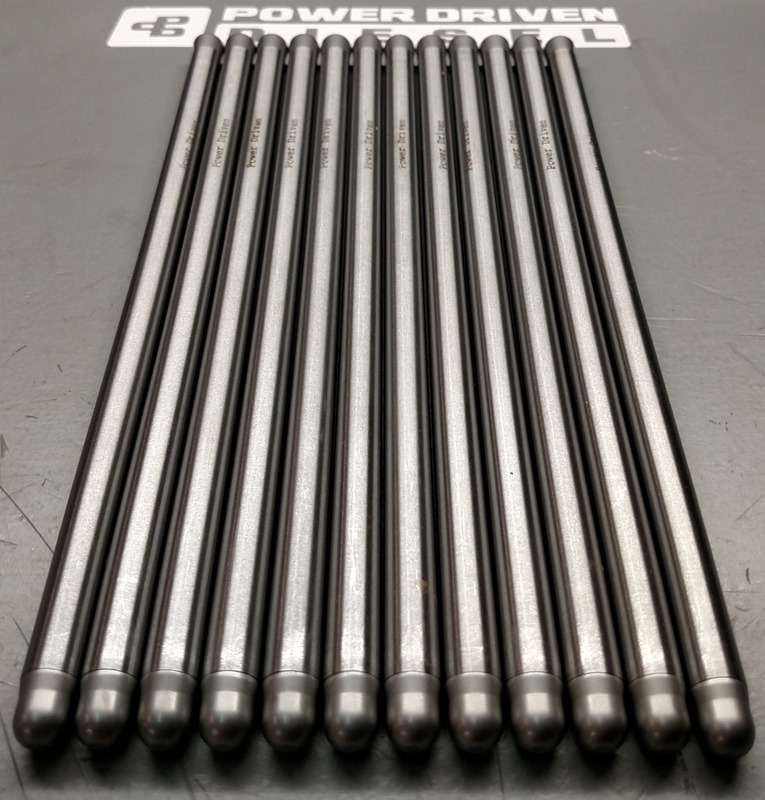 All rods are 7/16″ in diameter and feature .120″ wall thickness. 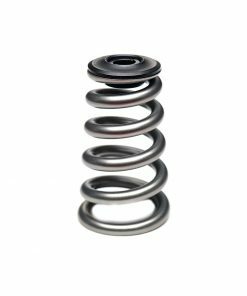 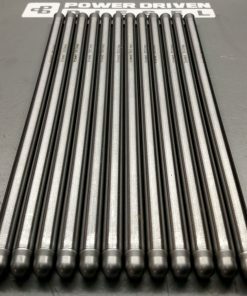 Utilizing 4130/4135 chromoly tubing and with proprietary heat treating techniques this material is able to achieve an incredible 275,000 psi tensile strength without becoming brittle. 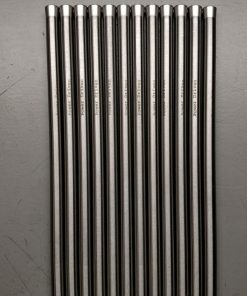 The heat treated tubes have straightness memory with a hardness of 42 to 46 Rockwell. 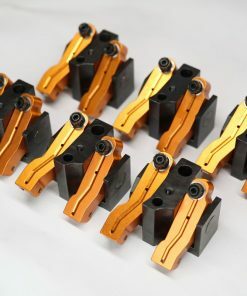 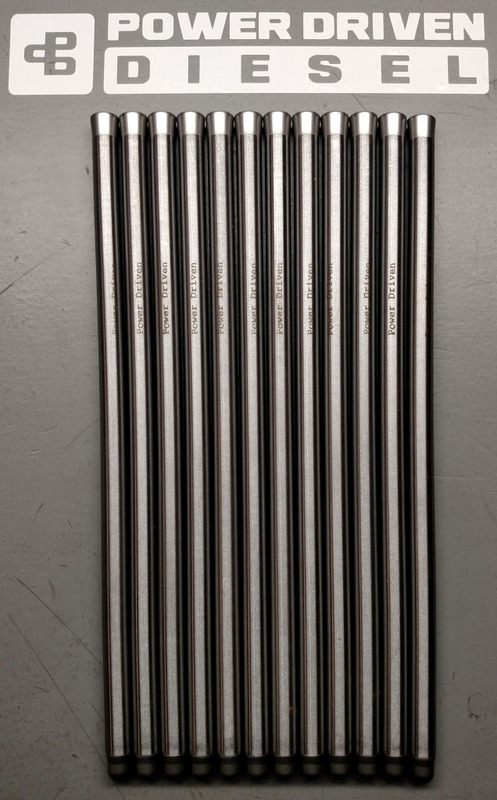 These rods will handle 1500HP easily and going to our stronger rods will yield little improvement at these power levels.